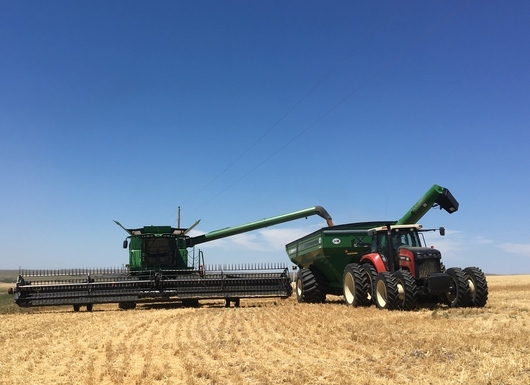 Thompson Harvesting is a family-owned and operated custom harvesting business. We are a complete harvesting service for the customer, from harvesting the grain, to transporting the grain, to the completion of the harvest. We believe our success is due to honest hard work, dedication to the customer, being reliable, and our Christian values. We are confident we can compete per machine with anyone, even though we do not work on Sunday. God blesses those that honor Him.